In my adventure in American classics, John Steinbeck has garnered the most interest and discussion among fellow readers. Despite being lukewarm about East of Eden, the power and value of Steinbeck was obvious. I decided that I needed to read more from him before moving on to other authors. One of the books chosen was Travels with Charley: In Search of America. Published in 1962, the book described a despondent Steinbeck as he treks across the United States with his poodle named Charley. While the veracity of the text remains dubious, work remains a unique look at Steinbeck's thoughts and emotions. 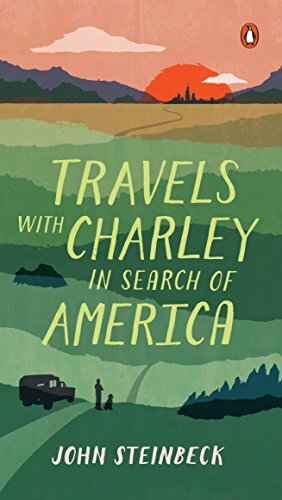 Written from the perspective of the traveling Steinbeck, Travels with Charley has a journal and internal dialogue structure throughout. 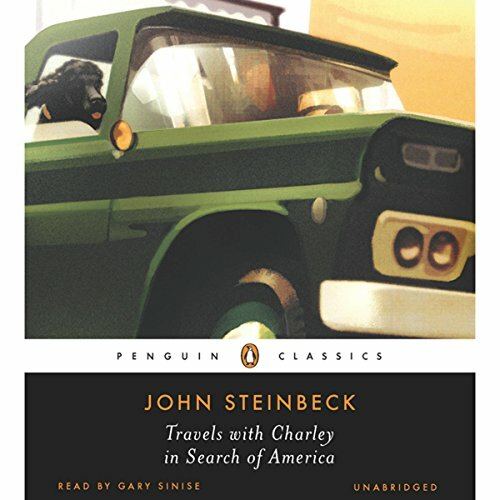 Traveling across the United States, Steinbeck highlights and discusses a variety of subjects as they appear in the different states, cities, and environments of his trip. Replete with many of Steinbeck's flowery descriptions of the landscape and weather, Travels with Charley has an intimate feel. It may be true that Steinbeck fictionalized portions of the trip, but the personal inflections that permeate the text are genuine. "Chance" human encounters and Steinbeck's poodle Charley becomes foils for reflections and internal dialogues. And just as Steinbeck reads into the inflection of his dog's incantation of barks, it is almost certain that the wooden dialogue that represents Steinbeck's human interactions are post-processed and occasionally fabricated to present a topic of interest. This does not diminish the interesting discussions about history, war, politics, community, economics, and personal contentment. From the beginning to its conclusion, Steinbeck's Travels with Charley is a delightful look at some of the great author's personal reflections near the end of his life. With few stylistic changes and hardly much dialogue, Travels with Charley made for a relatively uneventful audiobook. Gary Sinise did a wonderful job in his reading but ultimately the book left no room for serious impressions. In conclusion, Travels with Charley was one of the most enjoyable and laid back reads this year. It was a refreshing look at a dialogue-less Steinbeck and made for great listening during my daily commute. I'll be enjoying this again in the future. Beyond my failings as a racist, I knew I was not wanted in the South. When people are engaged in something they are not proud of, they do not want witnesses. In fact, they come to believe the witness causes the trouble.